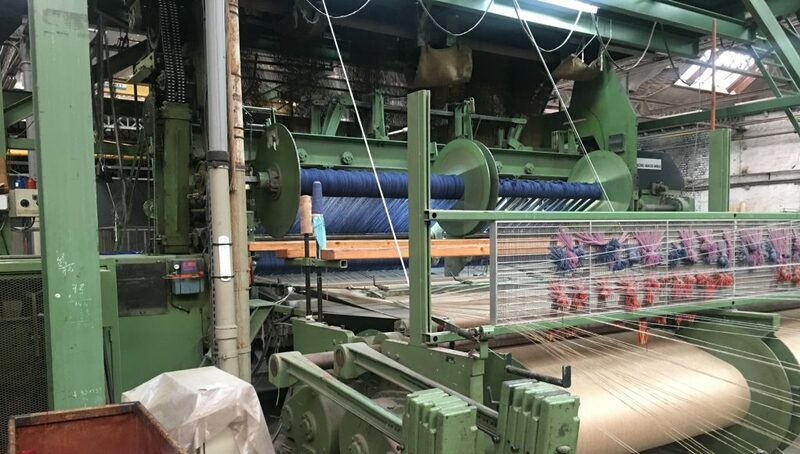 For the first time in company history, Kalaty Rug Corporation will offer three machine-made/power-loom rug collections at the 2018 summer markets in Atlanta and Las Vegas. Among these new collections is the Modena collection, the company’s first indoor/outdoor group. Machine made of 100% polypropylene, the high quality plush pile of these modern abstract designs adds comfort underfoot while providing an artistic anchor for rooms designed around today’s trendy, clean-lined furniture styles. 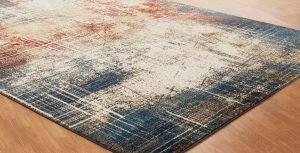 Adding their own artistic contemporary touch to most any stylish room, these modern abstract rug designs, machine made of 100% polypropylene, elevate the wow factor of any home. Designed for use indoors or outdoors, this group of modern abstract rug designs adds artistic color and pattern to any living space. And, since they’re made for indoor/outdoor use, they’re as easy to clean as they are to live with! While the Kalaty family Oriental rug business originated more than 100 years ago in Iran under Mirza Kalaty’s grandfather, Mirza Kalaty established the company in the USA in 1979. Today Mirza and his five sons – Ramin, Mike, Farshad, Ariel and Kamran – run the company, which continues to progress through design, innovative coloring and finishing, as well as through its commitment to provide its customers with a broad selection of superior quality area rugs along with unparalleled service. Kalaty currently operates showrooms in New York, Atlanta and Las Vegas. NOTE: The picture of the Van De Wiele 1990 Loom pictured in this release is from www.cogliandro.com web site. We have no idea if a similar looms were used to manufacture Kalaty’s carpets, but they were similar. 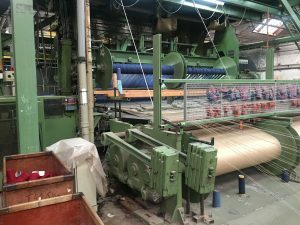 Cogliandro specializes in used Van De Wiele looms.